Player 1 passes to player 3. Player 3 passes to player 2. Player 2 passes to player 4. 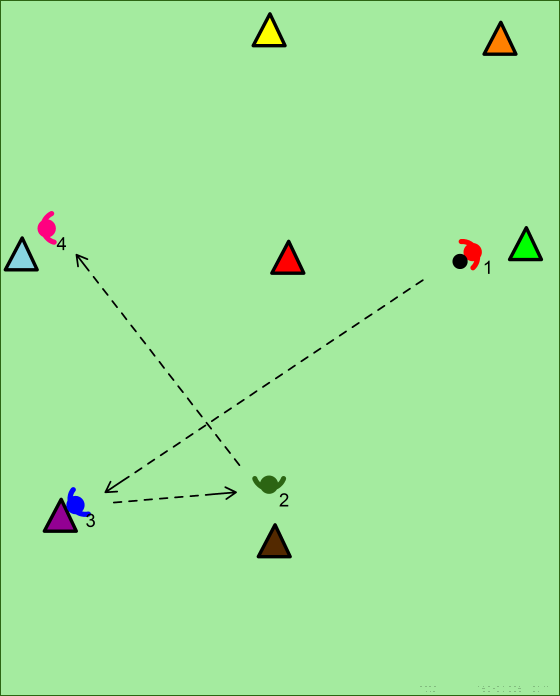 Player 4 passes ball forward into path of player 3. 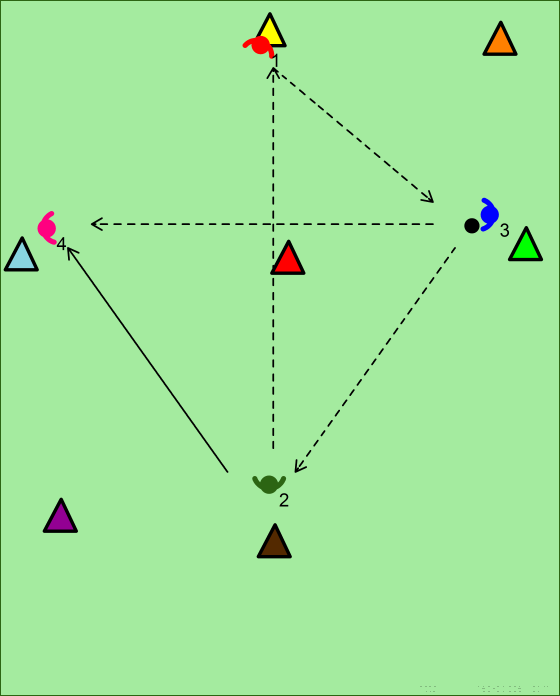 Player 3 meets ball on red cone. 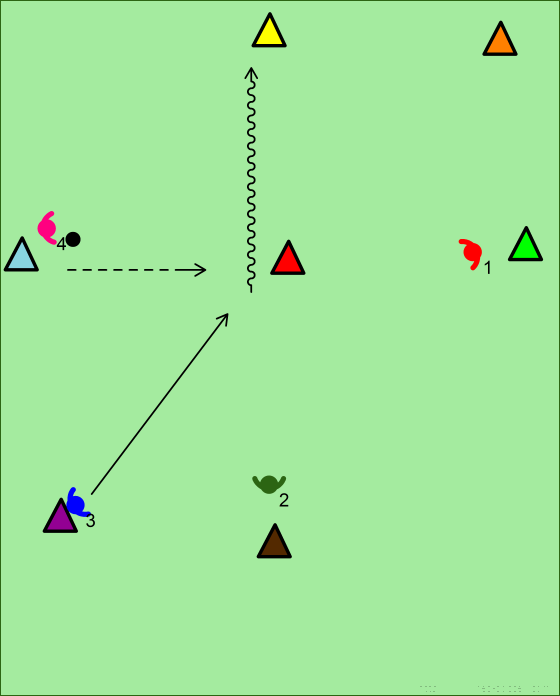 Player 3 does Maradona turn and takes ball ahead to yellow cone. Player 1 closes him down on the orange cone. 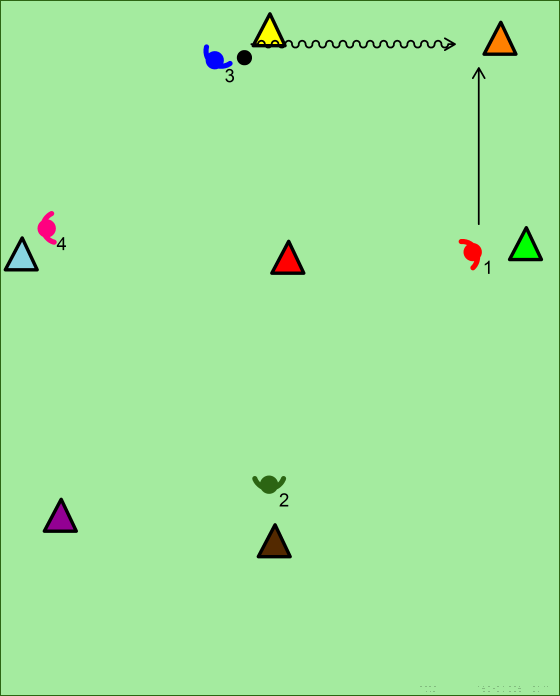 Player 3 does a trick on the orange cone against player 1 which takes him to the green cone. 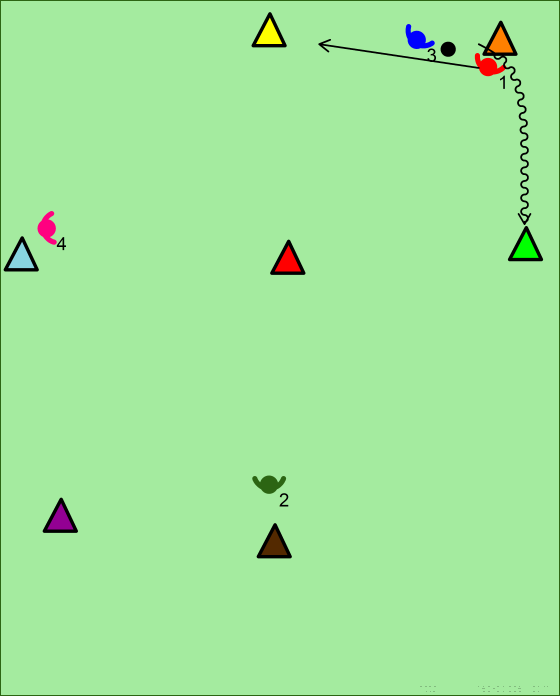 Player 1 then makes a run to the yellow cone. Player 2 passes to player 1. Player 3 passes to player 4. Player 2 closes player 4 down. 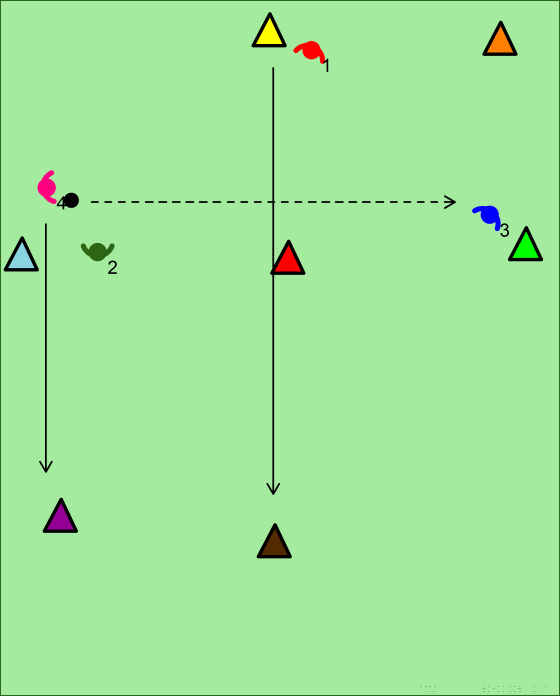 Player 4 passes back to player 3 and runs to purple cone. Payer 1 runs to brown cone.